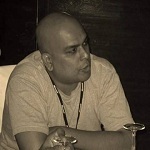 This question needs understand of WPF visual tree and logical tree, so please first read about the same from http://dotnetinterviewquestion.wordpress.com/2013/11/22/explain-the-difference-between-visual-and-logical-tree-in-wpf-wpf-interview-questions-with-answers/ and then read the below answer. Direct events: - Event is raised at the source and handled at the source itself. Bubbling events: - They travel up the visual tree hierarchy. For example "MouseDown" is a bubbling event. 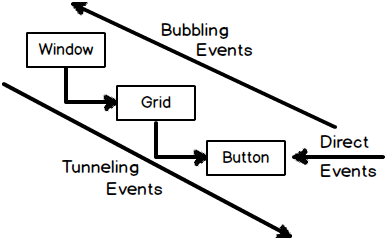 Tunneling events: - These events travel down the visual tree hierarchy. "PreviewKeyDown" is a tunneling event. Lab 1: - What is WPF and how it is better than Winforms?Theory: - Explain WPF object hierarchy? Lab 2 :- How to implement threading in WPF? Lab 3:- Explain one way, two way, one time & one way to source bindings? Lab 4 :- Explain UpdateSourceTrigger in WPF ? Lab 5 :- Explain WPF Resources ? Lab 6 :- What are WPF Value Converters ? Lab 7 :- Explain WPF multibindings and multivalueconverters ? Lab 8 :- Explain Visual tree , logical tree and routed events in WPF ?